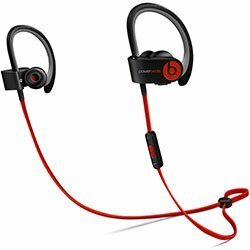 15 Best Workout Headphones in 2016 – Bluetooth vs Wired? If you’re serious about fitness you need a good pair of workout headphones. Working out without music just isn’t the same. Below you can find the most popular and best-rated headphones for working out. You can also check out the table of contents for better orientation. 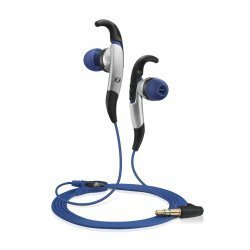 Earbuds vs Over-Ear Headphones, Which is Better for Working Out? Bluetooth vs Wired – Are Wireless Headphones Better for Exercising? 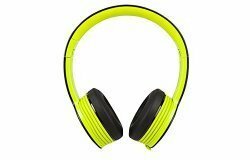 Vote for Your Favorite Workout Headphones! Models are listed in random order. Check below for more detailed reviews. They must stay in place. You probably already know how annoying it is when you have to constantly readjust the headphones to stay on. Having the feeling that your headphones can fall off any time steals the focus from the workout which means worse results in the end. This is the most important requirement for workout headphones, if they don’t stay on, they’re useless. Usually, lighter headphones are more comfortable and thus suited for gym work. Many different designs, like ear hook and “memory” wire all help keep the earbuds/headphones on during exercise. Comfort comes in the same category, feeling discomfort of your ears is the last thing you need. Resistance to sweat and moisture. Sports headphones have to be resistant to moisture because if you’re pushing yourself you’ll be sweating like a pig. Or if you’re using them outside you’ll get caught by the rain and you don’t want to see your workout earbuds broken because of that. One of the rules in fitness says “No pain no gain.” and when you’re in the middle of a hard, sweaty workout you shouldn’t be worrying about your headphones. Physical durability is an important factor as well. During exercise, you will be making fast moves and the chances of accidentally hitting your headphones are higher than normally. Perfect gym headphones have to sustain any hits and bumps without suffering damage. Another solution to durability problem can be the price. If the workout headphones are really cheap you don’t have to worry even if you do damage them. Getting cheap headphones takes away the worry of breaking them. Noise isolation, is important because you probably don’t want all the people around you to hear what kind of music you’re listening to and at the same time you don’t need to hear what they are talking about. If you are wearing headphones, it usually means you’re listening to your music and don’t want to be disturbed. By isolating yourself from the surrounding sounds you will better focus on your exercise form and intensity. Because there is no chance of getting hit by a driving car in the gym you don’t need to worry about not being able to hear your surroundings, you can go for complete isolation. Running in the streets still requires some awareness of your surroundings just in case an accident is about to happen. Good noise isolation keeps you focused and gives you that extra privacy from the environment. Battery strength if wireless, the battery has to have long life to get you through at least one workout if not more. Since most people are not working out several hours every day, you should look for Bluetooth headphones with at least 4-5 hours of battery life when playing music. This should be a minimum. Obviously, the longer the battery life the better. Thanks to today’s technology most of the products on the market have better than 4h batteries. There are some headphones with 20+ hours of battery life and some with very short charge time. If you can get it fully charged in 15 minutes the overall battery life really isn’t that important. Keep in mind, this only applies to wireless headphones, wired don’t need a battery. Sound quality also comes into play here. Just because you’ll mostly use the headphones during exercise doesn’t mean you have to suffer bad sound quality. All the models in this article have above average or even great sound quality, check the reviews below for more info. Whether you want clean, balanced sound or enhanced bass, there is a workout headphones model with the sound signature you want. The sound quality of Bluetooth and wired headphones is very close and mostly depends on the model and not the technology used. If it’s balanced, audiophile sound you want or loud and deep bass, workout headphones reviewed below won’t disappoint. It is pretty much common sense that big, bulky headphones just aren’t suitable for using in the gym. The one main reason is their size and weight which makes it very hard to keep them on your head. Using bigger, over-ear headphones for working out would only be suitable if you exercise very slowly and do more or less controlled movements. The best alternative is on-ear headphones which are a bit smaller than over-ear, but these are much more likely to stay on your head even during fast movement. You can find many on-ear models that are lightweight and keep on your ears very well without having to adjust them all the time. Top wired on-ear workout headphones reviews. Apart from their heavy size discussed above, big headphones aren’t suitable for workouts because of their shaky fit. The one major advantage of big, cushioned headphones is comfort, but this is only achieved with less stability. That is ok for use at home, but when you’re running on the treadmill or lifting weights, they’re just a nuisance. Then again, you don’t have to believe us, try it yourself, maybe you find a model that is just fine and when you do, tell us which one it is so we can review it. There are pros and cons to each type. The strengths of wireless or Bluetooth headphones is the freedom that you get from not having any wires. You can put your phone or MP3 player somewhere in the gym, connect it to your headphones and start working out. The connection distance is usually long enough to cover the whole gym area. The problem is that Bluetooth headphones have a battery that you have to charge. Usually a battery will last from around 4h up to 25h in some really good models. If you don’t mind keeping the battery charged, wireless workout headphones are the way to go. On the other hand, wired headphones are much cheaper, plus it’s a more hassle free experience. Wires are a proven technology that works well, especially with improved tangle free cords. No need to think about charging the battery, just plug in and play. You still have to keep your phone or MP3 player somewhere in your pocket, but then again, most of us are used to that. The only problem might be pulling the wires too hard. This can happen faster than you think when working out. Thankfully, because of the cheap price you can buy many wired headphones for the price of one pair of Bluetooth type. Many people report having problems with keeping earbuds in the ears. When working out, most people sweat and when sweat comes in contact with rubber ear tips, those tend to start slipping out. This is a common problem even with many sports oriented earbuds. One very good solution we’ve found is to get better, nonsliding ear tips. These are very recommended, any Comply ear tips will do and we especially recommend Comply Tx-500 ear tips. Just role them up with your fingers to make them a bit pointy, then put in the ear canal, these reform inside to give a very snug fit that’s comfortable and noise isolating. Perfect for working out. If you have problems keeping in your earbuds, try these first before giving up on them. The new best Bluetooth earbuds for working out in 2016! The best Bluetooth earbuds of the past (Jaybird Bluebuds X) have been updated and the new Jaybird X2 are even better than the previous model. The old Bluebuds X are still great Bluetooth sports earbuds and now even better value for money, if you don’t care about color selection you can save some money by getting them here. The new model keeps the high sound quality, but improves overall fit and comfort, especially during heavy sweating. Since these are sports earbuds the fit is very important and fortunately, Jaybird managed to improve the stability of the X2. The most common problem with the old Bluebuds X was when you were sweating the flange wings tended to flip out, with this new model this doesn’t happen anymore. You can sweat as much as you want, these earbuds will stay put in even the slipperiest ears. Additionally, the selection of tips is better than ever before. In the package, you get the standard 3 sizes of wings or “fins” with the selection of silicone ear tips (3 sizes), but you also get a selection of premium Comply foam tips (3 sizes). The Comply tips were almost a must-have with the old model if you wanted a stable fit and with the new model you get them in the package from the start. With Comply tips on, Jaybird X2s become one of the most comfortable and stable in-ear headphones on the market. Noise isolation isn’t a feature Jaybird is focusing on, but since these are in-ear monitors you still get decent passive noise isolation. This makes them suitable for the gym or outside workouts where you want to hear what’s going on around you. With all in-ear headphones, ear tips play an important role in getting the right comfort for your ears. With a nice selection of silicone tips and even a pair of Comply foam tips, you can be sure you’ll find one type that feels comfortable for you. In case you don’t and X2s don’t fit you, it’s very likely any other earbuds won’t fit either. Even though these earbuds are Bluetooth and run on a battery they are quite light and you won’t feel much pressure from the battery weight. Jaybird probably focused on making them as lightweight as possible not to interfere with your sports activity. The Jaybird X2 aren’t much different from Bluebuds X when it comes to durability. Truth be told they aren’t the most well-built earbuds on the planet, but what makes them last is a great customer service. X2 have the same Lifetime Sweat-proof Warranty by Jaybird which means you will either get them repaired or replaced by a new product if they die out unexpectedly. You can check other sports headphones here. Jaybird’s customer service is fast and efficient and takes the guarantee seriously. Whenever your Jaybird X2’s die just contact the customer service and you’ll most often get a new pair. The biggest problem with this Bluetooth model is probably the battery which tends to die out after a while, but since you can get a new pair for free this isn’t really a problem. Just keep in mind if you crush them by stepping on them, the sweat warranty doesn’t apply, keep them in one piece. Sweat resistance is very good and sweat doesn’t seem to bother the earbuds, so if you’re a heavy sweater you don’t have to worry. You can even clean them with a slightly moist cloth if you want to. The wire that goes behind your neck has a small set of buttons where you can control the volume of music and song selection. Additionally, the earbuds feature an in-line microphone in case you want to make hands-free calls when connected to your Bluetooth device. These controls are very useful when you don’t want to constantly handle your smartphone whether you carry it with you or you have it laying somewhere close, like in the gym room. One notable change is the carrying bag, now they’ve changed it to a rubbery “box” that isn’t exactly a major improvement over the old clamp bag. The wireless, Bluetooth technology hasn’t changed from the older model. It features the standard 30ft of range depending on the obstacles around you. Outside you will get better range than inside. You can connect any Bluetooth enabled device, from iPhones, iPads and Macs to Android or Windows smartphones, tablets, and laptops. Basically, all modern devices with Bluetooth connectivity are compatible. The battery life is a solid 8 hours per full charge. This is the same battery life as before, but since they are such small earbuds we can’t expect better battery life since they would have to make them bigger and heavier. Bluetooth connection is stable and battery life is solid, but we’d like to see a small improvement here in the next model at least. The one quality that sets Bluebuds X apart from all the other wireless sports earbuds was their great sound quality. The Jaybird X2s don’t disappoint either. Though Jaybird promotes these like they have an improved sound quality, an average user won’t notice any difference at all. They are still one of the best (if not the best) sounding sports earbuds with Bluetooth connectivity. For the more experienced listeners (audiophiles) they might notice a slight difference in the bass which has been slightly boosted and tends to create a more dynamic sound. Nonetheless, these are not basshead earbuds, the bass is balanced with other ranges so don’t expect ear drum rupturing lows from these. This doesn’t mean they have no bass at all, with an airtight seal which is a must for bass to be heard, you will enjoy any type of music. The highs are very clear and precise without abusing your ears with aggressive sibilance like so many other headphones do. The mid-ranges are also good though Jaybird X2s have a slight V-shaped sound signature (more treble and bass with less prominent mids). …when it comes to sports Bluetooth earbuds, the X2s can’t be beaten by any other model in the category. They are the new standard for wireless workout earbuds all other companies are trying to surpass. 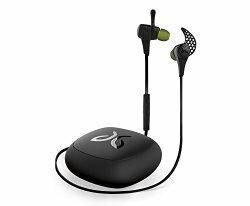 If you want the absolutely best sports Bluetooth earbuds you can get right now, get Jaybird X2s with lifetime sweat-proof warranty, great fit, comfort, solid battery and best-in-category sound quality. The new Bose SoundSport Wireless are a great pair of Bluetooth sports earbuds. In fact, they are so good we were seriously considering replacing them as the #1 recommendation. The only reason we didn’t do that is because the Jaybird X2 still have more balanced, audiophile sound which we like and value. But don’t be mistaken, if you don’t mind a slightly “bassy” sound signature or even like a bit of emphasis on bass, then Bose SoundSport Wireless are at least as good as the X2’s. With the help of winged ear tips the fit is as stable as you can get from earbuds. These aren’t exactly regular in-ear monitors because the earbuds don’t protrude that deep into your ears. The earbuds are shallower and rest on the outskirts of your ears. This gives you a great and stable fit, but doesn’t provide good passive noise isolation. There is more sound leakage than with other IEMs, but this isn’t necessarily a bad thing. If you want to use these outside it’s good to hear what is going on around you to avoid possible traffic accidents. At the same time if you use these in a quiet place with high volume others around you will hear your music, so these aren’t meant for office use. For sports use, in the gyms, courts and outside, they are great because they stay put and keep you aware of surroundings. The only bad thing about the fit is that they are rather large and protrude out of the ears, this makes it impossible to use for sleeping on the side or not looking a bit dorky. Just like with other latest-edition Bose products, comfort is superb. If you have problems comfortably fitting other earbuds try Bose SoundSport, wireless or wired models both do a great job. Once you find the right size of ear tips, from the 3 different sizes, you’ll soon get so used to wearing them you’ll probably forget about them altogether. They’re light and have great ergonomics that fit even the smallest ears comfortably. Overall, we think these are the most comfortable sports Bluetooth earbuds you can get right now. Since these are made out of plastics durability isn’t top notch, but it’s still above average. Build quality is good enough to justify the price but it isn’t one of the strong points. Durability is probably the only average feature of these earbuds so you can’t throw them around and expect them to survive for very long. They are sweat and moisture resistant so using them outside when raining or when sweating profusely isn’t a problem. The wires a thick and flexible enough to instill confidence just don’t think they’re fail-proof, because they aren’t. The microphone call quality is good enough to make calls with, just don’t expect to make quality podcasts with it. The buttons are big enough to press easily and seem to be built well. Once you get used to it, using it becomes a breeze. Bluetooth connection is very easy to establish with either, Apple or Android devices, or any other Bluetooth-enabled device for that matter. The connection usually stays stable and doesn’t disconnect, though no Bluetooth headphones are completely without faults. Sometimes you might experience short distortion which isn’t really a problem. The battery lasts up to 6 hours which is a bit less than with the Jaybird X2, but good enough for any sports activity. It could be better considering the price but still doesn’t disappoint. Sound quality is where you either have a love or hate relationship with Bose SoundSport Wireless headphones. Typical Bose sound signature isn’t balanced, but rather emphasizes bass. If you’re a purist who likes balanced sound signature, then pick the Jaybird X2, but if you like stronger bass that makes the music more dynamic and fuller, then Bose sound signature will be more to your liking. Bass is not earth-shattering to satisfy a basshead but still emphasized to annoy an audiophile. For a more casual user who likes mainstream sound more, these are perfect. The bass gives you a nice rhythm to follow during your workouts and at the same time delivers clear highs and mids. For the best combination of sweat-proof, great fitting earbuds with amazing comfort and a bass emphasized sound, Bose SoundSport Wireless are your best choice. Best sport wireless earbuds for bassheads. Beats Powerbeats 2 Wireless are probably one of the best Beats products on the market right now. If you’re an audiophile and know a little bit about headphones, you know in general Beats aren’t regarded as very good, but this is different when it comes to his IEM (in-ear monitor) model. Powerbeats 2 Wireless earbuds are being regarded as great Bluetooth sports headphones even by demanding experts. This new version is an upgrade in pretty much every category. The fit is one of the advantages of Powerbeats 2. With its ear “hook” design these are one of the most secure earbuds that stay in no matter what. You can easily lift weights, run and cycle or do aerobic exercises without fear of dropping or constantly having to adjust. While the comfort might not be to the liking of all, they will stay in. If you’re having trouble keeping in “wing” design earbuds like Jaybird X2, you can try ear hook Powerbeats 2. Slightly different design helps a lot of people with keeping earbuds stable. Noise isolation is good, as long as you use the right size of ear tips that will give you an airtight fit. Just make sure you don’t forget about traffic in case you run on the streets. Because the hooks go over and behind the ear, there is some friction and for some people, the first couple of uses will be hard to forget you’re wearing earbuds. But with frequent use you will learn to forget about it and then Powerbeats2 become as comfortable as any other earbuds. The build quality is better, made out of sturdy plastics, feels and looks like it can endure a lot of punishment. They are sweat resistant according to the IPX4 standard, from earbuds, tangle free cord to the button controls. Just don’t expect to go swimming with these, they do leak in water in that case. Controls are the standard in-line buttons where you can change songs, volume and play or pause the music. Buttons are well made and using them becomes a breeze, just like you would expect from a premium, high quality product. Bluetooth works with all devices, iOS, Android and BT enabled MP3 players, connects fast and stays connected up to about 30ft and may vary depending on the device you’re connected to. Accepting calls is easy and the microphone is quite good, producing a clear sound that’s easy for the caller to understand. Battery life could be better, but at 6 hours isn’t that bad. It charges rather fast, 15-minute charge lasts about 1 hour. Considering the price we’d like to see a better battery in the next version. The sound quality is another nice surprise for this Beats model. It’s better in all ranges compared to other brand models. It has clearer highs and mids with nicely emphasized bass. While the sound is less balanced and natural compared to Jaybird X2s, it’s not as bad as with the previous model. If you like more bass in your music you’re going to like these. It still has that “Beats” bass signature. Overall, if you’re looking for bass heavy, durable, sports, wireless earbuds that stay in your ears no matter what, Powerbeats 2 are a great choice. One of the best rated wireless sports earbuds. These earbuds were developed for the specific purpose of sport use. Whether you’re running, lifting weights or just playing basketball, these Plantronics are here for you. Plantronics BackBeat Fit are one of the most stable and comfortable wireless earbuds for working out. Their ear hook design nicely fixes the earbuds to your ears. There are no flabby wires touching your skin and you can feel how lightweight and well-designed they are. 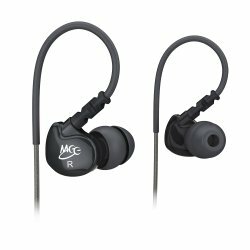 These IEMs are suitable for all sports activity and they won’t fall out no matter how fast you move. If only the fit would be so good with other sports headphones. Because of their lightweight design, you will barely feel them on your head. You can easily wear these for hours on end and not get irritated. Great for long workout sessions. The whole design is slightly different. It’s made out of flexible plastic that’s able to endure even less than decent treatment. Sweating with these is not an issue, they’re sweat-proof and water-proof so you can easily use them in the rain or close to water. Just don’t go underwater, use headphones for swimming instead. You can carry them around your neck or put them in a backpack, either way, you don’t have to be worried about breaking them. Overall, these are one of the more durable Bluetooth earbuds. The buttons are positioned on the earbuds and since they are so small the buttons are small too. This might be a problem for those with bigger fingers and generally need some getting used to. Nonetheless, controls work as intended, you can change the volume, songs, play/pause and calls if you are connected to a calling device. Making and accepting calls works well and the sound recorded by the microphone is clear. Battery is good with up to 8 hours of playtime. This is more or less a standard with Bluetooth earbuds and only a few models have better battery than this. It is nothing special and can’t really compare to Jaybird X2, but it is not so disappointing. These are, after all, sports headphones. The idea is that you don’t really focus on the music while working out but rather on finishing the set of exercises and moving your body. If you’re not used to Hi-Fi sound quality you probably won’t notice anything wrong with them. While the treble and medium range sounds aren’t most precise and rich and the bass isn’t awe inspiring either, they get the job done. 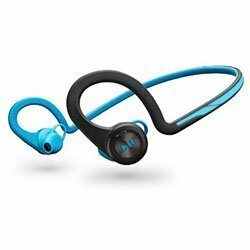 Plantronics BackBeat Fit do almost everything right; great durability, good battery life, comfortable and super stable fit for all sports, but with rather average sound quality. Nonetheless, for less than $100 these are near perfect Bluetooth workout earbuds. Original Mpow Swift were one of the best cheap Bluetooth earbuds for sports and the new model, Mpow Wolverine, is even slightly better. This cheap, $20 wireless model is one of the best-selling earbuds product for a reason. If you want absolute best bang for your buck, Mpow Wolverine earbuds are the way to go. You’ll have a very hard time getting better value for money in sports Bluetooth earbuds that do a better job. 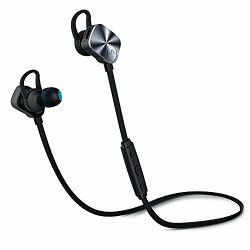 Check other top cheap earbuds here. Mpow Wolverine earbuds feature the “wing” design, with 3 sizes of ear wings you’re bound to find the right size for your ears. This design is very useful at keeping the earbuds in your ears even during fast, sweaty exercise. Generally, the fit is secure and stable for sports activity and only rarely will the earbuds fall out. If this is your case, think about on-ear hook design models, those tend to be less problematic. Wearing them for hours is comfortable for most people, though could be a problem for people with smaller ears. The earbuds are quite large because of the battery which is stored inside the casing. Weight on the other hands isn’t a problem. The earbuds are very light and you will soon forget you’re wearing them. You can run, jump, do yoga or anything in between and not feel any discomfort. The casing is sweat-proof and built from quality plastics and aluminum that gives them a premium look. That’s a nice touch for a budget model. The tangle-free cords, which go behind the neck, don’t make any trouble and you don’t have to be particularly careful keeping them untangled. Generally built quality is good enough to justify the price, but don’t expect to abuse them too much as they will likely break, they are a budget model after all. You get 45 days money back guarantee and 18 months worry free guarantee so if you’re not happy with the purchase you can send them back for whatever reason in the first 45 days and if they break, you have the right to free repair or a new model for 18 months after purchase. The Bluetooth earbuds have the standard controls on the wiring, you can control the volume, songs and play/pause. At the same time, you can do the same from your connected playing device. Do you play games? Check the best gaming headsets here. In case you are looking for something more, you can check out the Magneto model which is basically the same with the addition of magnetic control which works automatically. When you attach the earbuds together the music stops, when you separate them it starts playing again, so there is no need to use buttons. They cost a bit more though. Connecting with Bluetooth, it uses the latest 4.1 Bluetooth, is fast and easy, doesn’t disconnect and the range is standard, up to around 30ft. All BT enabled devices are compatible. It features CVC 6.0 Noise cancelling technology which seems isn’t doing much as there is little difference in noise levels, instead you should focus on getting better passive isolation by picking the right ear tips. Built-in microphone works well and making calls on the go is easy as is expected from any modern Bluetooth headset. The battery has been improved and now gives approximately 8 hours of playtime for less than 2 hours charge, which is quite useful. From experience, you can expect solid 6-7 hours of music depending on how loud you listen to it. It’s charged by standard micro USB port which offers many charging possibilities. They sound much better than you would expect from $20 Bluetooth sports earbuds. Just like the original Mpow Swift, Wolverine doesn’t disappoint. Again, considering the low price, these have very good sound quality and Mpow could have easily charged 2 or 3 times the price for them. They are fun and lively to listen to, with accurate and clean sound. It might not be the richest sound you’ll ever hear, but you can’t expect that from a budget sports model. The bass is not enhanced but rather balanced compared to other ranges, so it’s not a basshead model. Just like with all in-ear model, getting airtight seal will improve the quality of the bass. All in all, if you want your money to go very far and want a pair of sports, Bluetooth earbuds, get Mpow Wolverine as they are the best earbuds in the budget category right now. Matone Qy8 are great Bluetooth workout earbuds on the budget. You can check the older version here. For a very low price of under $30 you get a lot of functionality and it’s a great value for money. 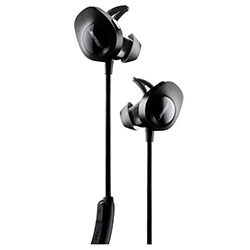 This is a model for people looking for best cheap wireless IEMs that are also suitable for the gym. The fit is stable as they come with different sizes of ear tips and ear hooks. If your earbuds still slide out when you get sweaty, you can try Comply ear tips which tend to stay in better. Noise isolation is pretty good since these are earbuds. If you pick the right ear tips, especially if you buy premium ear tips you will get quite good noise isolation. The fit is comfortable and doesn’t bother even during fast movement which is great for exercising. Keep in mind ear tips are crucial for comfort, so first try different sizes and types before deciding upon the ones to use. The build quality is good enough for plastic $20+ wireless earbuds. It isn’t much different from the Qy7. They are very light because of their plastic body, but still strong enough to last in the gym. The wires are tangle free and durable. On the right earbud there is a multifunctional button which controls everything. This is an improvement as it’s easier to use and nicer to the touch as the old Qy7 controls. Accepting calls is as easy as before, the microphone does the job and your voice will be easy to understand. Bluetooth connection is good, but nothing special. It connects to all devices and keeps connected to about 25ft (7.5m). This is enough for most gyms, just keep your playing device somewhere close. A nice improvement of the battery is very welcome. The old Qy7 lasted about 5 hours, but this newer Qy8 model lasts 2 hours longer, about 7 hours which is pretty close to other more expensive alternatives. 7 hours is enough for many workouts on one charge and if you charge it from empty to full it takes about 2 hours. Another improvement over Soundpeats Qy7 is the sound quality. The previous version had decent sound, but this one produces noticeably better fidelity. The sound is clearer and richer in detail, though it still can’t compare to Jaybird X2s. But for a price of about 4 times less you’re getting very good sound for the money. One of the reasons is better sound compression using ATP-X standard that doesn’t distort the quality that much. There earbuds are not bass heavy so a basshead won’t be happy with these. In the end, if you’re looking for great, cheap, Bluetooth sports earbuds, Matone Qy8 should be your top choice. MEElectronics Sport-Fi M6 are best wired workout IEM (in-ear monitor) headphones on a budget by our opinion. Over 7000 people agree. The company MEEletronics is known for making quality products for little money and Sport-Fi M6 are no different. For under $20 you’re getting a ton of value. They don’t fall of and don’t irritate the ears even after hours of wearing them. If you have problems with other earbuds staying in your ears, you should try these. Choosing from 6 different ear tips from the beginning is a nice feature, it’s very likely one size will fit your ears perfectly. Noise isolation is rather average, but hearing what is going on around you makes them suitable for outdoor use as well. Achieving a comfortable and stable fit is a bit of a problem in the beginning, but once you get used to folding the memory wire, it works nicely. You can order the model with a microphone to take calls during workouts, but it costs a few dollars more. If you take a lot of calls, it’s worth it. The design is simple but effective. Made from durable plastics with IPX5 sweat and water resistance and rubber memory wire, they are hard-core sports earbuds. They come in many different colors to match every outfit. These are able to withstand any amount of sweat and even rain, perfect for inside or outside exercise. See other durable earbuds on the other page. Earbuds connect with standard gold plated 3.5mm audio plug that lacks any strain relief, but this is common at this price range. The regular earbuds don’t feature any in-line controls so you’ll just have to use your playing device for that. You can order the model with the microphone to take calls during workouts, but it costs a few dollars more. If you take a lot of calls, it’s worth it. When it comes to sound MEEletronics don’t disappoint. The bass is emphasized, but detailed and doesn’t overpower other ranges. Mids are pretty clear and detailed for a budget model. Treble is also slightly emphasized but not unbearable. The overall sound quality might not be great enough for an audiophile but if you’re looking for some punchy bass with overall warmer and fun sound, you’ll like these. For the price under $20 you will have a hard time finding better workout earbuds. Meeletronics Sport-Fi M6 are wired, sport IEMs that do everything right, as long as you keep the price in mind. P.S. We dare you to find better cheap workout earbuds. 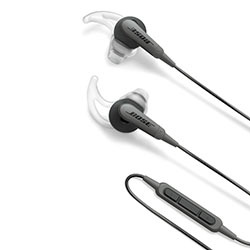 The new Bose earbuds replacing Bose IE2 are one of the best wired earbuds for sports you can get right now. If you’re familiar with Bose sound signature and value comfort, BoseSoundSport are the right pick for you. The earbuds sit slightly into your ear canal but don’t go very deep. This is great for comfort, but it’s not very effective at noise isolation. Sound leakage helps with being aware of your environment so this is a good thing if you’re working out outside. At the same time, there is more sound leakage than with average IEMs (in-ear monitor). If you listen to them loudly, others will be able to hear your music. For gym use that isn’t too loud these are perfectly fine, even better for outside exercising or running. Keeping them in your ears is very easy, they don’t fall out even during fast movement. Like said before, these are very comfortable earbuds. In fact, they can easily compare to the most comfortable earbuds on the market. You can barely feel them in your ears and because they’re quite small you can even sleep with them with your head on the side. They’re lightweight and have great ergonomics, you can’t ask more from a pair of earbuds when it comes to comfort. This is where Bose SoundSport lack the most, this doesn’t mean durability is bad, but it isn’t top notch. The plastic housing is built rather well, but still can’t compare to metal earbuds that you can find on the market. The wires are relatively thin, but have good strain relief with an I shaped 3.5mm plug. They’re also sweat and moisture resistant to survive hot and sweaty workouts, just don’t dip them into water, they aren’t water-proof. There are 2 models, one has an in-line remote and microphone and the other, cheaper one doesn’t have it. The microphone sound quality is good enough to make calls, but don’t expect sonic fidelity. If you’re used to cheaper in-line mics this one will be more than you’re used to. In the package you get a nice protective carrying case, a shirt clip and 3 pairs of ear tips with wings. The bass isn’t too boosted so these aren’t basshead earbuds, but for an average user who isn’t too concerned with balanced sound, these sound great. Overall, the sound can’t compare to audiophile models, but is better than your average earbuds so they’re very easy to enjoy during workouts. Here are one of the best sounding wired sports earbuds right now. While not made specifically for sports, they’re very suitable for working out as well. You can use them for listening to your music on the commute, on the plane flight or just enjoying the music at home. Very versatile and useful IEM (in-ear monitor) model you can take anywhere you go. The whole design is very specific to Shure and it takes some time to get used to. In the beginning you might have some problems getting the right fit, but in a week or two you’ll put them on like regular earbuds. Once you find that sweet spot they will hardly ever fall out unless you pull on them accidently. One feature really standing out is the sound isolation that is better than competition at this price. When it comes to comfort, it all depends on your ear size and shape, but most people find them very comfortable. The secret is in finding the right sized earbuds and ear cushions that best fit your ears. Once you do that, you’ll have a hard time finding more comfortable IEM headphones. Shure also designs their own ear tips, also called Shure olives. These too require some time to get used to, but do their job very well at comfort and isolation. Looking for noise canceling headphones? Generally SE-215 don’t irritate the ears and the unique Shure casing fits nicely to anyone’s ears. The build quality is very good, it doesn’t have any particular sweat resistance or invisible coating, but fares just fine even in sweat. The casing of earbuds is all plastic, but sturdy plastics that instill confidence. The most durable part is the wires. These are “memory” wires that you can fold to your own liking, usually forming an ear hook for best stability. The wires are detachable; Kevlar reinforced and rather thick, giving the impression they will last a long time. The original Shure SE-215 wires don’t have any controls or microphone, but since they are detachable you can easily replace them with microphone wires if this is what you want. 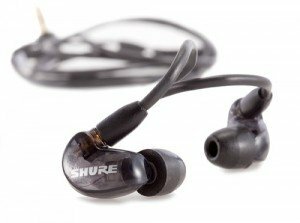 The biggest advantage of Shure SE215 is their awesome sound quality. At this price they truly excel with a very natural sound and a real presence of space. You’ll hear the sound coming from different directions creating a “sound illusion” of space. Treble is very clear and precise, though the weakest range for SE215. Where these truly flourish are the mid ranges, which are very detailed, precise and rich, just fun to listen to. The bass is not overpowering either, but slightly emphasized, just enough to give any song a kick. The overall mix makes for a rather natural, but also dynamic and fun sound that you can enjoy in all genres of music. If sound quality is important to you even when you’re working out, look at Shure SE215 for amazing sound quality with durable and comfortable fit without falling out. This is the product of collaboration of two well-known companies. Sennheiser and Adidas have created a durable, sweat resistant earbuds with great stable fit. These are an older model, but are still considered the better model as the new ones haven’t really been an improvement over this one. If you have very small ears, it’s best you look at some other model as these will probably not fit you. They seem to be built for average or bigger ears and they tend to fit badly to smaller ears. The IEM (in-ear monitor) design has very good sound isolation, but still lets in some noise to let you know what is going on around you. Because of good sound isolation, these aren’t most suitable for outdoor activity where you have to be on the lookout for possible dangerous accidents. Check out other good sound isolating earbuds. With the so called “slide to fit” mechanism Sennheiser CX 685 Adidas are one of the more stable earbuds and surprisingly comfortable. You can wear them for hours without problems, unless you have smaller ears than most. Some women with really small ears have a bit of a problem keeping these earbuds in during exercise, so if you are in this category look elsewhere. As is known for Sennheiser headphones, these are also very well built and made from quality materials. You can easily use them for all fitness purposes. Para-aramid reinforced cables and sweat and water resistant design makes these perfect for sports. You can actually wash them with water if they get dirty. The Sennheiser CX 658 have standard wires without any controls or microphone and this is the only model that exists, so unfortunately you won’t be able to make phone calls with these sports bad boys. The sound quality is slightly disappointing. While overall great sports wired earbuds, the sound could be better. Being used to audiophile grade sound won’t make you happy with these. The range most lacking is bass, it’s just doesn’t have much presence and lacks detail. Treble and mids are rather harsh, but that makes them very good for listening to audio books or podcasts. Overall the sound is average and if you don’t mind that because you’re not really an audiophile, these are great fitness earbuds. Sennheiser CX 685 Adidas earbuds are super durable and water-proof, have stable and comfortable fit with very good sound isolation, perfect for solo gym workouts. 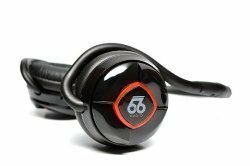 66 Audio BTS+ are one of the best on-ear Bluetooth headphones and for working out, they are our top choice. On-ear workout headphones are a great choice if you have problems with earbuds. There are so many incredible features these have it’s very easy to understand why they’re so popular. These are worn behind the neck, hooked to ears. The fit is stable enough even for running, unless you have really small ears. They are lightweight and don’t bounce a lot. Compared to earbuds, all on-ear headphones will be slightly harder to keep on during fast exercise, it’s good to keep that in mind and pick the right model for your needs. The on-ear fit is very comfortable for working out or just listening to the music for hours, just don’t expect to wear them all day. All on-ear models are slightly pushing on ears and if you wear them for too long, they’ll become uncomfortable. Durability wise these are sports headphones made out of sturdy plastics. Not being sweat-proof or water-proof doesn’t seem to be a big problem. On-ear headphones are just impossible to make water-proof because of their big headphones. Great customer service helps here as well, if you have any problems with these, contact support and most often than not they will replace your defunct headphones for new ones. You can connect 2 devices at the same time, accept and make calls and control everything from the multifunction controls on the right headphone. The call quality is really good, clear voice recording with noise cancelling technology is the right combination. 4.0 Bluetooth connection works with iOS and Android devices or any other Bluetooth enabled MP3 players for 20ft+. They are APT-X enabled as well for better sound compression. 66 Audio BTS+ even have noise cancelling technology which is more usual for expensive headphones. Battery life is the best in category. You can easily get over 25 hours of playtime with just one charge. This is many times more than with any Bluetooth workout earbuds. Charging takes a bit longer, but once charged it will last and last and if you use iOS you’ll also have battery indicator to tell you exactly how much battery you have left. Sound is very good for a pair of on-ear fitness headphones. The right balance of treble mids and bass are fun to listen to. The bass itself isn’t overpowering so these are not basshead headphones. All ranges are balanced and clear. Generally, the sound is much better than with your average headphones. $50 on-ear wireless workout headphones with awesome battery, good fit, Bluetooth and above average sound, 66 Audio BTS+ are a steal. Monster iSport Freedom are another great wireless on-ear workout headphones designed to spend most of their time in hot, sweaty gyms. If not for their price, they’d be top choice of Bluetooth headphones, but since they cost around $200, which is much more than the alternatives, it’d be hard to say these are the best choice. Monster iSport Freedom also have noise canceling technology, which is not super effective, but does the job perfectly for gym conditions. You won’t hear other gym-goers breathing and running on the treadmill next to you, but you will hear if someone shouts. These also don’t leak much sound, so you can easily enjoy your Justin Bieber without fear of getting caught. With lightweight design and flexible structure, these are as comfortable as any other on-ear headphones. It all depends on your head size, but if you’re somewhere average you should have no problem wearing these for the whole workout. As for long listening 2-3 hours or more, you should pick some other over-ear headphones unless your earlobes don’t feel any pain, ever. The disadvantage of on-ear headphones is their design that can become irritating after a few hours. Since Monster created these for sports, you don’t have to be careful with these. You can easily get them sweaty or even wet, they are in fact washable so if you get them dirty, just rinse under water and viola, good as new. Made out of durable plastics and rubber, foldable and with flexible structure makes them strong enough to survive accidental drops on the floor or harsh backpack travel. To sum it up, they are super durable, as they should be for the high price. On-ear buttons are easily accessible and getting used to them is easy. Controlling volume and songs with headphones becomes a habit. The built-in microphone works, but doesn’t record perfect, crispy clear sound. It’s still usable for making calls, just don’t expect better than phone performance. Bluetooth works nicely, connects to all BT enabled devices and doesn’t disconnect up to standard 25-30ft. Battery is very good with over 20 hours of constant playtime. For average fitness enthusiasts this is probably enough power for the whole month of workouts. The sound has the perfect combination of highs, mids and bass for gym environment. But, for fitness these are perfect. Good strong bass that gets you going through your last set of lifts or those last minutes of aerobic exercises, with nice combination of crisp mids and highs. They are loud enough and will help you maintain the tempo with any exercise. Featuring APT-X and ACC technology helps with wireless transmission. As said before, sound quality is nothing special, but for working out this isn’t even that important. You should focus on pushing yourself harder and not focusing on richness or lack of the sound. 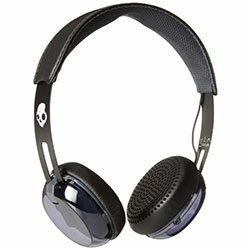 The new Skullcandy Grind on-ear headphones offer a lot of value for its price. These on-ear headphones offer everything a gym goer needs for very little money. The headphones being on-ear, they aren’t as stable as earbuds, but if you’re lifting weights or using machine in the gym, they stay put. They’re good to use for running as well, as long as you don’t try to do acrobatics as that would probably be too much. Here you can check best running headphones. They aren’t made for sports use specifically, so they don’t have any sweat protection, but since these are on-ear headphones the drivers are well protected from the sweat. The metal headband is very flexible and will survive for a long time. The plastic casing is strong enough to last a couple years as well, just don’t throw them around because they’re heavier than IEMs. The wires with L shaped 3.5mm are detachable which is great for when you accidentally pull on them too hard, they can be replaced easily without having to throw away the headphones. For the price that you’re paying, durability is more than good enough and with some care you’ll be using these for a while. This is a budget model after all so it’s great you get a microphone at all. Best value for money audiophile on-ear headphones. Just looking at Koss KSC75 doesn’t do these on-ear headphones justice. We agree these do look pretty bad and sure don’t win any design awards, but what’s inside is much different. At a measly price of a few dollars over 10 bucks, you can’t expect more from on-ear headphones. With the ear hook design they were made for sports. Just put them on, adjust the angle to suit your ears comfortably and enjoy. Super lightweight structure will feel feather-like and the ear hooks will make them stick to your ears even during fast, sweaty exercise. Fit is stable enough for various sports, but you do have to adjust the position from time to time to keep it comfortable. Don’t expect much of sound isolation, if you’ll be listening these to the full in a quiet room, people around will hear it. Comfort more than makes up for all weak points. These are very lightweight and sit nicely on your ears, after a while you’ll forget you have them on. There is not much to say about the comfort since it’s such a simple design. 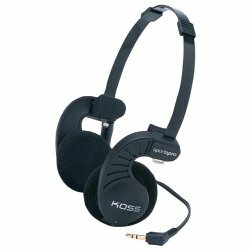 Without any sweat protection or Kevlar reinforced cables, Koss KSC75 can still be used for working out without fear of breaking them, because they are so cheap. If you accidently step on them, getting a new pair doesn’t cost much. They’re just not anything special, durability-wise. These are very simple headphones so the only thing you’re getting is the ear phones and regular wires with an AUX plug-in, no controls or microphone. Where Koss KSC75 headphones really shine is sound quality. Some people compare these to headphones for $300 and more, this is how good they are. The sound is very balanced, with punchy bass and rather forward mids which creates a very natural, but musical and fun sound. The tonal balance is very likable and can be compared to headphones many times the price. The bass is not too heavy, rather muddy, so these aren’t basshead headphones, but more to the taste of audiophiles who want good, cheap headphones for working out. Overall, for less than $20 you’re getting on-ear headphones that have surprisingly good sound quality in a workout friendly design that is light and comfortable. Did we mention they’re cheap? 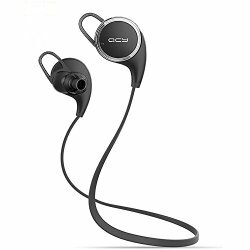 Another cheap, good value for money Koss on-ear headphones perfect for fitness. 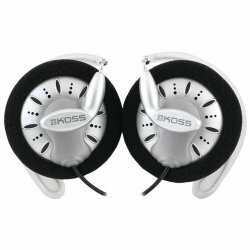 Koss SportaPro are very similar to KSC75 above, but with slightly different sound signature. Keeping them on your head is easy due to their lightweight nature and flexible head band, making them great for jogging or working out. These can be worn either over the ears or behind the head, either way works; it’s only a question of personal preference. With soft ear cushions that touch your ears, sound isn’t isolated much, but they are loud enough to overpower any noisy gym. Because they let in ambient sound, they’re safe for running outside. The cushions are mostly good for comfort, which SportaPro definitely are. Feather-like light just like their brethren (KSC75 above) you’re sure to enjoy wearing these for hours. The durability isn’t much to be desired. The same cheap design (as with KSC75) with no durability features, probably the reason why they can be so cheap. If you break your headphones frequently, just get 2 of these to last you a while. One of the simplest and cheapest headphones on the market right now, you can’t really expect any additional features like in-line controls or microphone. You can forget about that when it comes to Koss SportaPro. The sound quality we talked about is different from Koss KSC75 as SportaPros are much “bassier” even to the point of losing treble. Many prefer bass heavy sound for sports activity. For more options you can check best noise isolating earbuds. What workout headphones do you use?